place to live, work and do business. Fairfax County is a diverse and thriving urban county. As the most populous jurisdiction in both Virginia and the Washington, D.C. metropolitan area, the county's population exceeds that of eight states and the District of Columbia. The median household income of Fairfax County is one of the highest in the nation and over half of its adult residents have four-year college degrees or more educational attainment. Fairfax County is also home to numerous attractions ranging from George Washington's Mount Vernon to the Smithsonian Air and Space Museum Steven F. Udvar-Hazy Center. Includes Cities/Towns: Alexandria, Annandale, Burke, Centreville, Chantilly, Clifton, Dunn Loring, Fairfax, Fairfax Station, Falls Church, Fort Belvoir, Great Falls, Herndon, Lorton, Mc Lean, Merrifield, Oakton, Reston, Springfield, Vienna. With 50 square miles of public parks, Fairfax County has some of the finest urban green space anywhere. The county is home to several national, state and regional parks, including Great Falls National Park, Pohick Bay Regional Park and Mason Neck National Wildlife refuge, America’s first sanctuary for Bald Eagles. The Fairfax County Park Authority operates 420 park facilities on more than 23,000 acres, featuring public golf courses,colonial-era homes, a working farm and grist mill, extensive wildlife preserves, garden and nature centers, more than 300 miles of hiking, biking and equestrian trails, recreation centers, a skate park, ice-skating rink, and nearly 800 playgrounds, lakes, campgrounds and athletic fields. Some of the best shopping on the east coast is in Fairfax County, which has three of the Washington region’s largest and busiest retail centers: Tysons Corner Center, Tysons Galleria, Mosaic District, Fair Oaks Mall, Reston Town Center and Fairfax Corner. Local communities are well-served by the county’s more than 200 neighborhood, community and regional shopping centers, with stores and services available for every need and budget. Fairfax County features a wide array of dining establishments. With nearly 4,000 restaurants to visit in the county,residents can enjoy everything from burger joints to fine dining, and sample a delicious range of ethnic cuisines. Fairfax County offers a remarkable wealth of cultural and recreational resources. No matter how you like to spend your free time, there’s plenty to see and do here. Home to the renowned Wolf Trap National Park for the Performing Arts, America’s only national park for the performing arts, Fairfax County offers an extraordinary mix of music, visual, theatrical and other arts opportunities. 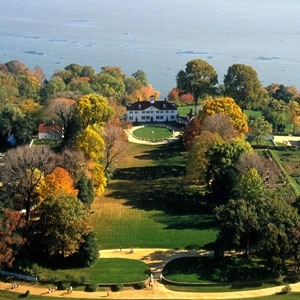 Several national heritage treasures, including George Washington’s Mount Vernon Estate and Gardens,Woodlawn Estate and Gunston Hall, are all in Fairfax County. The Smithsonian Institution’s National Air and Space Museum Steven F. Udvar-Hazy Center at Washington Dulles International Airport offers a stunning collection of rare and famous space and aviation artifacts, as well as special events, tours and lectures. stations are located in Fairfax County and all have park-and-ride lots. Amtrak, the national passenger rail system, provides service from Union Station in Washington to dozens of destinations nationwide. One Amtrak line stops at the Virginia Railway Express station at Burke in Fairfax County. The Auto Train, a nonstop auto ferry service, takes passengers and cars from Lorton in Fairfax County to Sanford, Fla.
Fairfax County residents have access to top-quality medical care at the area’s fully accredited hospitals and medical centers. These include the INOVA Health System which runs 5 hospitals and two HealthPlexes in the county, HCA Virginia Health System which operates 2 surgical centers in the county, and Kaiser Permanente which operates 6 medical centers in the county. Jan 26.1 F° 34.4 F° 42.7 F° 2.9 "
Feb 28.5 F° 37.7 F° 46.9 F° 2.9 "
Mar 35.6 F° 46.0 F° 56.4 F° 3.5 "
Apr 44.5 F° 56.0 F° 67.4 F° 3.3 "
May 53.8 F° 64.8 F° 75.8 F° 4.1 "
Jun 63.5 F° 73.9 F° 84.4 F° 3.8 "
Jul 68.5 F° 78.6 F° 88.7 F° 3.8 "
Aug 66.9 F° 76.9 F° 86.9 F° 3.3 "
Sep 59.7 F° 69.8 F° 79.8 F° 3.8 "
Oct 47.5 F° 58.0 F° 68.4 F° 3.4 "
Nov 38.2 F° 48.2 F° 58.1 F° 3.3 "
Dec 29.9 F° 38.2 F° 46.5 F° 3.1 "
Fairfax County is blessed with a temperate climate, moderate rainfall, and a rich and varied topography. Although August sometimes feels unbearable in its humidity and January can seem endless with its ice and snow storms, these extremes ensure that Virginians may enjoy all four seasons of the year. Who would trade Virginia’s glorious and extended spring and fall seasons for anything else? These conditions also present you with an extensive plant palette. Without the January freeze, no apple trees would thrive. Without the warmth of the remaining seasons, camellias, cantaloupes, and persimmons would be lost. Condos Over 50 Communities Fairfax County and the Washington, D.C., area boast a broad variety of homes, communities and housing prices. Single-family homes and townhomes are plentiful, as are high-rise apartments and condominiums. Planned residential communities, developed by some of the nation’s premier home builders, offer housing with cutting-edge amenities. Upscale residences, whether executive and estate homes or villa-style homes on smaller parcels, are abundant throughout the county. Incorporated towns within Fairfax County (Clifton, Herndon and Vienna) offer a blend of old and new, with housing that surrounds historic, small central business districts distinguished by quaint boutiques and restaurants. Home care Senior center Visiting nurses A variety of services are offered to senior residents of Fairfax County including multiple transportation, wellness and caregiver options. Fairfax County's Volunteer Solutions provides meaningful volunteer opportunities to improve the lives of older adults while also contributing to the quality of life for our residents.